Looking for deals in Luxembourg? Royal offers elegantly-styled rooms and a wellness center with an indoor pool, only 1476 feet from Place d’Armes. This 5-star hotel benefits from two restaurants and a terrace. The staff is all deserve top marks and their attention to detail is second to none. Located in central Luxembourg, La Pipistrelle Hotel is housed in an historical building and offers rooms with distinguished design. Free WiFi access is available. Unique, historic, stylish place in fabulous setting. So much to see and do in this area (gardens, museums, restaurants, wine bars, historic walks). The owner is divine! A very special place. In Luxembourg’s old city center, Les Jardins d'Anaïs has contemporary rooms with garden view and free WiFi throughout the hotel. Excellent location with excellent treatment from the staff! We really liked our room and enjoyed our trip. We definetely recommend this hotel and will choose it again if we travel once more to Luxembourg! Experience luxury with a French twist in this 5-star hotel, ideally located near the center of Luxembourg, within walking distance from embassies and major multinational companies. This is a very fine hotel, with an easy walk to and from the old town and the transportation hub around the railway station. Staff are extremely helpful, providing excellent advice on sightseeing (even for someone who has been to LUX several times) and dining. My superior room was quiet (no traffic noise) and had lots of space. Toilet and bathroom area were separate. Rainforest shower was nicely lit, although water pressure could have been a bit stronger. Plenty of storage space, well thought-out layout. Located only 2.5 mi from the Luxembourg city center and Kirchberg, DoubleTree by Hilton Luxembourg offers air-conditioned rooms with views of the bordering forest. They accept pets. That was a must for my trip. Mandarina Hotel is pleased to meet you for business and tourist trips. Located 5 minutes from the motorway and 10 minutes from the center. Very friendly staff, a clean and comfortable room and ample parking facilities. 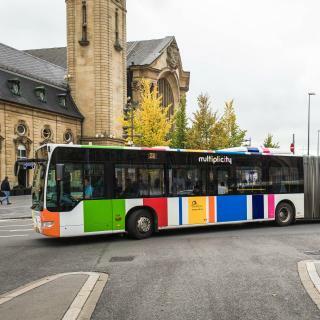 Located just 1640 feet from the airport, as well as a 20-minute drive from Luxembourg City center and the station, this Campanile hotel is ideally located and offers a free airport shuttle service and... The rooms were great close to downtown and right next to the airport. Parc Hotel Alvisse is set in quiet, green surroundings on the edge of Luxembourg. It is only a 5-minute drive from the city center and Luxembourg Airport. It was a wonderful weekend for 2, with a special price on booking. Il Piccolo Mondo offers B&B accommodations, at 4.3 mi from the European Institutions and International Exposition Halls. 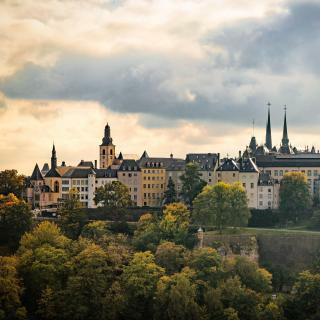 It is located at right at the edge of Luxembourg city. Great stuff, nice hotel, well connected with the city center. The bus stops in front of it. 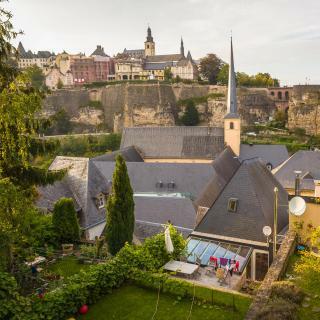 This family-run hotel offers simple yet functional rooms, 2 miles from Luxembourg City. Anna Et Jean benefits from free wired internet, a terrace and a restaurant serving traditional French cuisine. Friendly staff, clean and comfortable rooms, good bus connections even at night. On the edge of the city and near the train station, this family hotel offers elegant, practical accommodations in an excellent location. location was very good and meet the expectations for the paid price. Situated in a lively district, Hotel Zurich is located 110 yards from the main train station and close to shops and restaurants. Benefit from free Wi-Fi in the entire hotel. I loved that hotel Zurich was right by the train startion and in a lively, real part of town. Coque Hotel is located in a futuristic building on the Kirchberg Plain, an 8-minute drive from Luxembourg city. The renovated rooms of Coque offer a private bathroom, WiFi access and a safe. As always: great accommodation for meetings on Kirchberg. This hotel is in the heart of the Kirchberg area, just over half a mile from the MUDAM museum. Novotel has a restaurant and a bar. It has large, modern rooms. We like executive roon and breakfast. In Luxembourg’s old city center, Les Jardins d'Anaïs has contemporary rooms with garden view and free WiFi throughout the hotel. Excellent location with excellent treatment from the staff! Featuring 3-star accommodations, JJ32 is set in Luxembourg, 0.9 mi from Am Tunnel Luxembourg and 1.1 mi from Adolphe Bridge. The location is perfect. The room is big and clean. Also, they are very hospitable. The Sofitel Luxembourg Europe is a modern 5-star hotel offering elegant rooms and suites, and boasting 2 fine dining restaurants and a fitness center. Guests benefit from free WiFi during their stay. The room. The service. The location. The breakfast. This hotel offers luxurious suites and is located in the old center of Luxembourg only 591 feet from the Palais Grand-Ducal. Hotel Parc Beaux Arts features a 24-hour reception and free Wi-Fi. This is the most excellent hotel I stayed. Best Western Plus Grand Hotel Victor Hugo consists of 2 buildings on each side of the street in the financial district about 0.6 mi from the city center. I spent only 1 night at this hotel and it was quite lovely. Which hotels are the best ones to stay at in Luxembourg? Hotel Le Royal, La Pipistrelle Hotel, and Hotel Le Place d'Armes are some of the popular hotels in Luxembourg. Which hotels in Luxembourg are good for couples? These hotels in Luxembourg are highly rated by couples: Hotel Le Place d'Armes, La Pipistrelle Hotel, and Hotel Le Royal. Which hotels in Luxembourg have nice views? La Pipistrelle Hotel, Melia Luxembourg, and Sofitel Luxembourg Le Grand Ducal got great room view-related reviews from travelers in Luxembourg. Which hotels in Luxembourg offer an especially good breakfast? For hotels in Luxembourg that serve highly-rated breakfasts, try Luxaviation Crew Resort by Airfield, Légère Hotel Luxembourg, and La Pipistrelle Hotel. Which hotels in Luxembourg are good for families? Many families visiting Luxembourg loved staying at Les Jardins d'Anaïs, La Pipistrelle Hotel, and Park Inn by Radisson Luxembourg City. How much is a hotel in Luxembourg for this weekend? The average price per night for a 3-star hotel in Luxembourg this weekend is $227 or, for a 4-star hotel, $283. Looking for something even fancier? 5-star hotels in Luxembourg for this weekend cost around $498 per night, on average (based on Booking.com prices). What are the best hotels in Luxembourg near d'Coque? Some of the best hotels in Luxembourg near d'Coque include Sofitel Luxembourg Europe, Coque Hotel and Novotel Luxembourg Kirchberg. How much is a hotel in Luxembourg for tonight? On average, it costs $125 per night to book a 3-star hotel in Luxembourg for tonight. You'll pay around $161 if you choose to stay in a 4-star hotel tonight, while a 5-star hotel in Luxembourg will cost around $233, on average (based on Booking.com prices). 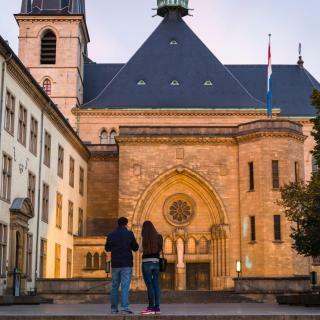 Which neighborhood is the best one to stay at in Luxembourg? Beggen, Belair, and Bonnevoie are popular with other travelers visiting Luxembourg. 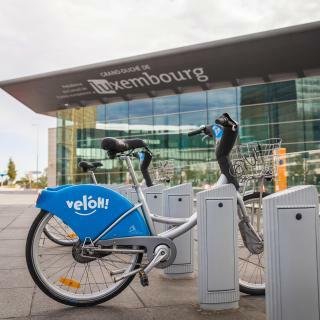 What are the best hotels in Luxembourg near Luxembourg Airport? 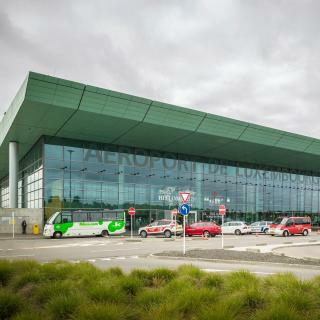 Travelers who stayed in Luxembourg near Luxembourg Airport (LUX) have said good things about NH Luxembourg, ibis Luxembourg Aeroport, and ibis Budget Luxembourg Aeroport. How much does it cost to stay in a hotel in Luxembourg? On average, 3-star hotels in Luxembourg cost $114 per night, and 4-star hotels in Luxembourg are $142 per night. If you're looking for something really special, a 5-star hotel in Luxembourg can be found for $244 per night, on average (based on Booking.com prices). It was a peaceful, joyful and graceful experience to walk around this little country. Strolling around The Central area, immersing ourselves in the layered fortress like town provided an unique appreciation of the beauty of this place. Recommending Müllerthal walk for nature lovers. You can stop by Brasserie Heringer Millen for a sumptuous lunch or dinner, which will surprise your tastebud and regret for not trying it out. Their pizza is a must try! 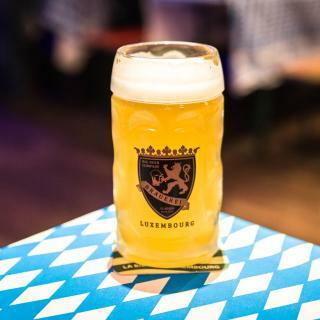 Also strongly recommend Luxembourg card for those who have several days in Luxembourg, which covers the popular must go attractions at a cheap price. We were Glad to have sufficient time in Luxembourg to ease our mind and to recall the romantic dating moments. 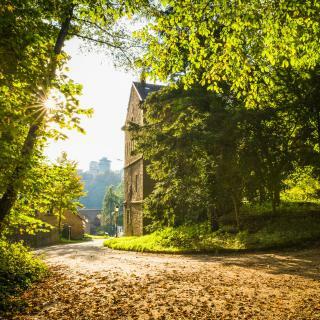 Discover Luxembourg's Rock Casemates Unesco World Heritage Site , Take a walk around the old town surrounded by Fortress walls harboring amazing views . Take the opportunity to use the amazingly cheap and reliable public transport around and out of the city - 4 euro for a day ticket , buses and trains The nearby town of Vianden is known for the centuries-old hilltop Vianden Castle. Below it, the Gothic Trinitarian Church has a 13th-century cloister. A chairlift climbs above the Our Valley for panoramic views. Trails include the riverside Ourdall Promenade. Well worth a visit . An organized city with efficient public transport. An organized city with efficient public transport. Open gardens were green and leafy giving a sense of envirionmental awareness and concern, Everything seems close enough that one does not get exhousted with some breath taking views especially the buildings in the steep valleys. Grand place though only having English was limiting. Grand place though only having English was limiting. Taxis cost a fortune but if you can get the hang of public transport then that is very cheap. Good restaurants, not overly expensive and very good quality. Service can be a bit dour on occasions though we also had great experiences. The location is good. The view was awesome. The only thing that I didn’t like is that a guy who was working at the reception. When I checked in, he asked me to fill in form. I’ve used many hostels but I had never been forced to fill up it, so I just wrote my name and nationality, then I gave it back to him. However he said to me ”This is a great start. You have to write down your passport number and your address.” It was a really annoying ironic to me. While I’m traveling, I don’t have any places to live that’s why I didn’t write down my address. Moreover I have never got any hostels that force me to give my all details. They could get my details through booking.com and why they still need more personal information? That’s weird and I just wanted to keep my privacy. And he didn’t focus on his job. Sometimes he talked his coworkers so that it took time just for checking in. Beautiful, safe, clean, easily navigated with much to see. Beautiful, safe, clean, easily navigated with much to see. Transportation was readily available and inexpensive. Meals seemed somewhat costly. Found walking tour by Tourist Information Office helpful. Vintage style hotel, polite staff, excellent location in the city centre. We had a big room at the front overlooking the Christmas market......which looks like it is just about to start. We found it quiet during our stay, didn't hear people in other rooms. The room was original 1970's retro, we liked the blue bathroom! Nice bar, but plenty of other coffee shops/bars/restaurants very, very close. Little supermarket a minute away. Caught the bus from the airport, bus stop 10 minute walk from hotel. Hotel is very nice with underground car park. Behind the hotel a lovely park, quiet location. Easy to find and next to a bus stop. Actually we walked to the city centre and it took us about 15-20 minutes. Everywhere was clean and well maintained streets. Feel safe. The breakfast was very good, not a full English but plenty of choice. The property is next to the airport (10 min walking). You can also reach the city center easily by bus. The ticket is not expensive and you have the bus stop next to the hotel entrance. The staff is kind and gave us good information about what to do in Luxembourg and how to move around the city. You have kettle in the room. Room was very spacious and clean with large bathroom. Comfortable beds and good room temperature. Next to the hotel there is a large sports complex with swimming pool. Hotel location very good-5' walk from nearest bus stop to reach the city centre. Price included breakfast and one visit to the swimming pool. The hotel location is good, just a mile away from train station. Not sure what was happening in the city, room rate, though inclusive of breakfast, was exceptionally high. The blond haired lady at the cantina was shining, she could remember guest’s preferences in food and beverages. The hotel was nice, comfortable! We have a problem with a shower water because it’s not clean, maybe there was a problem in the pipeline and the water was brown! The hotel it’s not close to city center, do you need use your car or bus! Comfortable bed, great price, helpful staff. The hotel is right next to the airport and there are frequent, cheap and easy buses to Luxembourg City every day from a bus stop right outside the hotel. Staff were friendly and accommodating, started breakfast 30 minutes earlier for me. The hotel is in a good location in reference to the station, and within easy walking distance of the city centre. Nice room with new facilities, good staff but the location is a little bit far away from city centre, anyway it’s still a nice choice for stay in Luxembourg! Very clean, friendly and very polite staffs, great location. Price was fine compare with other hotels in Luxembourg city center. Wonderful location of the hotel very close to the city center and at the same time very quiet and off to the side. Beautiful place to stay, no train but bus, 10 mins to city. Hotel restaurant is 1st class. A must try! Nice,new and clean. Modern decor. Walkable to city center. Staff were kind and helpful. Le Dany has the most kind and friendly staff. We were explained all about Luxembourg on a map, where to go and visit and what to see and how to reach there and where to park our car which helped us tremendously since we were on a road trip and didn't know much about the city. The entire staff is very positive, rooms are very comfortable and clean and the breakfast was delicious. Definitely recommended. I liked everything. The breakfast was very good.the bed comfortable. The hotel had been renovated and everything is new and clean. The location is excellent. Less than a block from train station and less than fifteen minutes walk to the city center!! From airport took bus #16 to the train station and walked 1/2 block to hotel.